New to the UK! 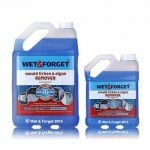 Wet & Forget Shower is another effective, labour-saving product from the Wet & Forget family. 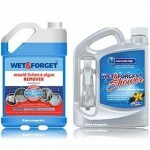 Wet & Forget Shower is an innovative weekly shower cleaner – no need for daily scrubbing or wiping to get results. 1 - Simply spray your shower area or bath with the high-efficiency sprayer included in the bottle and let Wet & Forget Shower do the work. 2 - The next time that you want to use your shower, simply rinse the surfaces that you have sprayed for sparkling clean results. 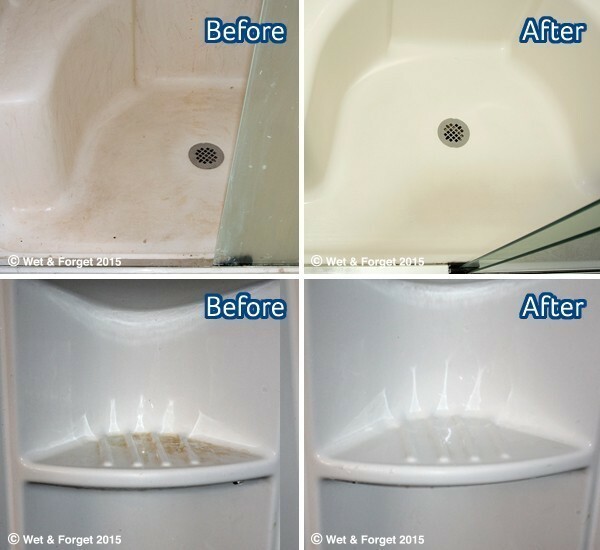 Wet & Forget Shower effectively dissolves soap scum, body fats, oils, grime and mould and will keep on cleaning your shower or bath for longer. Good for you – Wet & Forget Shower contains no aggressive chemicals like bleach or ammonia and will leave your bathroom smelling vanilla fresh! 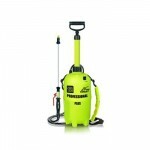 Best way to clean shower doors, trays, screens, cubicles and glass. Simply spray your shower or bath area and let Wet & Forget do the work. Wet & Forget Shower also gets rid of Mould and Mildew plus it’s safe for septic tanks- 1 X 2 Litre bottle. Wet & Forget Shower was developed with soft chemistry, so it doesn’t contain harsh chemicals or give off irritating fumes. 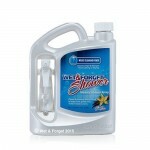 Wet & Forget Shower's gentle formula contains no bleach, ammonia or dyes. Wet & Forget Shower's easy, once-a-week application helps you break free from the hassle of a daily spray. You've got better things to do with your time! Daily shower cleaners demand 30 hours a year from you. Take back 26 of those hours with Wet & Forget Shower! Because you only have to spray once a week, a little Wet & Forget Shower goes a long way. 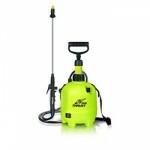 This means that, with Wet & Forget Shower, you get a clean shower for about 35% less money than the typical daily spray. Wet & Forget Shower's generous bottle size contains enough product for 3 months' worth of cleaning, which means fewer trips to the store. 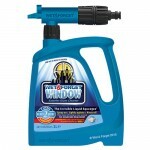 Wet & Forget Shower contains no harsh, smelly chemicals, so you get a clean shower without your nose paying the price. The soft vanilla essence means you can invite friends over without everyone knowing you've just cleaned your shower. Wet & Forget Shower's flexible remote trigger puts out 65% more product than the average trigger sprayer. 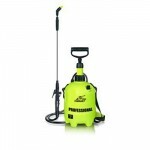 You can reach every corner of your shower faster, easier and with less pumping than with other sprays. 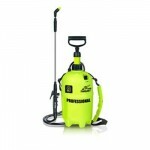 Our sprayer does more of the work, so you don't have to! Wet & Forget Shower is non-abrasive, so it won’t scratch as it cleans, shines, and prevents future build-up of soap scum, grime, oils, mould & mildew stains. 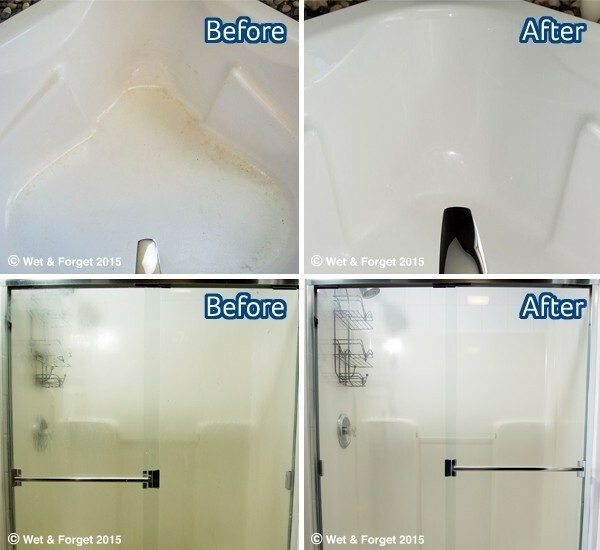 Wet & Forget Shower keeps all of your shower's surfaces clean and beautiful! 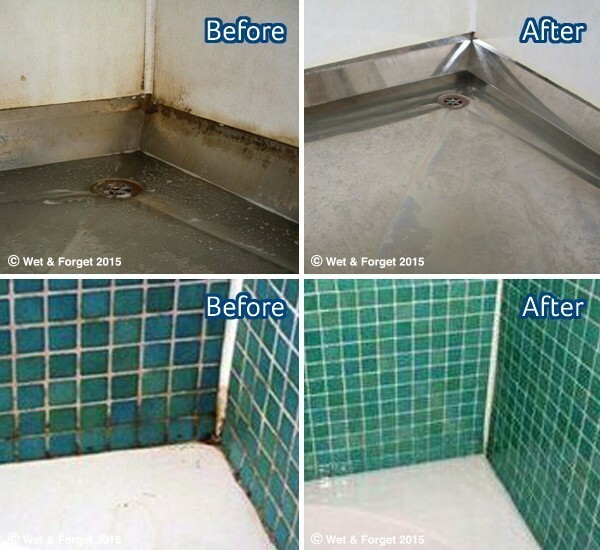 After showering, spray Wet & Forget Shower on fixtures, shower curtains, enclosures, shower glass, tiles and baths. Then simply rinse surfaces before or during your next shower. Wet & Forget Shower is equipped with a remote-spray trigger that allows you to pivot the trigger into any position to get to those tough-to-reach areas. Go ahead turn the sprayer upside-down — you’ll get the same product flow that you’d get in the upright position. 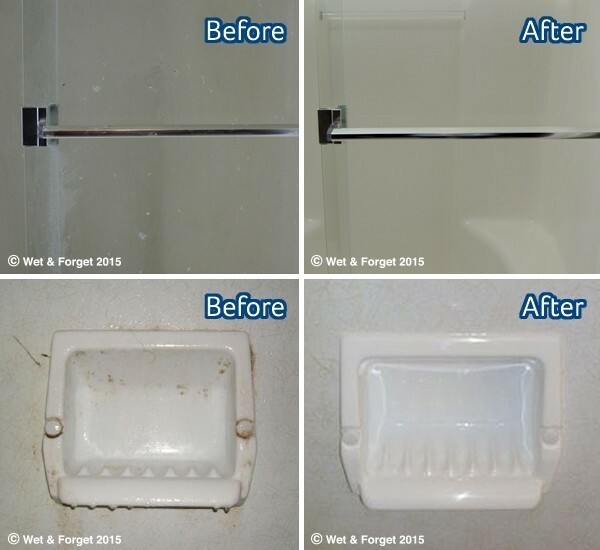 The Wet & Forget Shower spray trigger has the ability to spray up to 10 feet allowing you to clean those not so easy-to-reach areas. If you’re starting with a dirty shower, no problem! 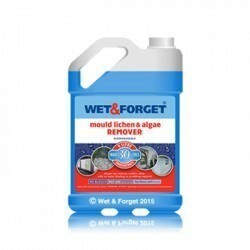 Wet & Forget Shower goes to work on contact eliminating soap scum, grime, oils, mould and mildew stains. Simply apply Wet & Forget Shower after the last shower of the day and let it sit until the next day. Rinse the shower and, if necessary, give it a quick wipe-down. 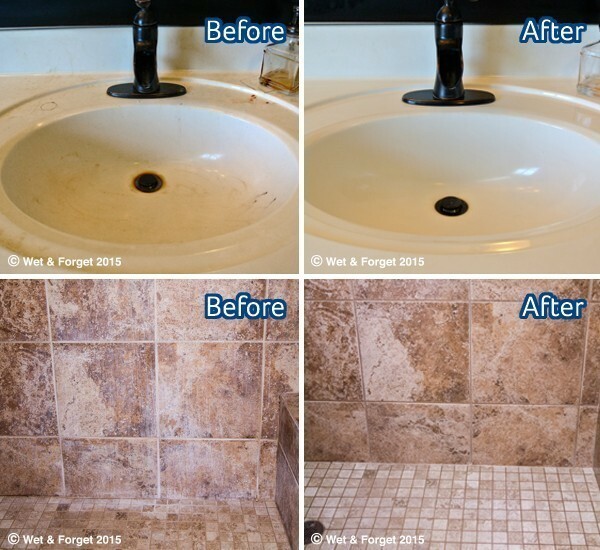 If there are still signs of shower grime, repeat the same routine until clean. No scrubbing required! Once you achieve a clean shower, you’ll only need to apply Wet & Forget Shower one time per week to maintain a clean, fresh shower. Wet & Forget Shower contains two non-aggressive surfactants. One dissolves soap scum, and the other targets body oils. This combination gently goes to work, softening and eliminating soap scum and body oils and leaving behind a clean shower and a soothing scent. No scrubbing or wiping required! 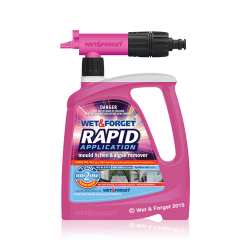 We always recommend testing Wet & Forget Shower in an inconspicuous area prior to using. Fixtures: Brass, Chrome, Bronze, Stainless, Nickel. Shower Curtains: Vinyl, Rubber, Nylon, Plastic. Tiles: Ceramic, Porcelain, Mosaic, Slate, Granite. Showers & Baths: Acrylic, Porcelain, Fiberglass, Granite, Slate, Glass Tiles, Natural Stone. Sinks and Toilets*: Acrylic, Porcelain, Granite. * Require a wipe down before next use. Wet & Forget Shower is not recommended for use on natural marble. 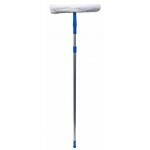 Test in an inconspicuous area if you have dark tiles and hard water to avoid highlighting calcium deposits. 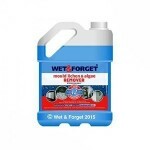 I recently purchased Wet & Forget Shower, as it was recommended to me by a friend, and I felt I had to write to you to tell you how delighted I am with the product. The spray device on the bottle makes application very quick and easy and I love the fact that you just spray it on and leave it, no scrubbing! It also smells lovely, unlike most other shower cleaners. Soap scrum just dissolves and the shower is left clean and shiny. I had a small amount of black discolouration to the grout for some of the tiles, Wet & Forget has definitely improved that where nothing else I had tried in the past went any where near improving. The tiles definitely look brighter too. My bathroom has never looked cleaner, thank you! 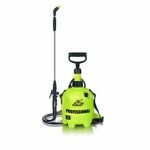 My husband also used the product to clean the grills on the BBQ, they also came up a treat and with very little effort. I was so impressed with Wet & Forget Shower that I purchased Wet & Forget to clean the patio. Our house is surrounded by a large number of tall trees and we have a large amount of paving in the garden that over the winter months turns black due to the lack of sunlight and dirt from the trees. It normally takes my husband a whole day to jet wash the entire area, and I shudder to think how much water he uses, but using Wet & Forget he cleaned the area very quickly indeed and with great results. The best part is that Wet & Forget should keep working for 12 months and actually stop the build up over the winter so it won't be nearly such a hard job to clean the patio again next time. Fantastic! I am very impressed with both products, thank you. I have a shower cubicle with sliding doors which regularly had black mould in between the glass and the frame. Previously, this could only be removed using bleach and a toothbrush, a job which I loathed. I heard about Wet and Forget Shower and decided to try it. The results are amazing! 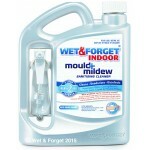 All signs of soap scum and mould are gone, the bottles on the shelf stay clean and mould-free for weeks now. It's so easy to use with such little effort and no bleach smell. I will definitely use this again. Cleaning a bathroom certainly isn’t how I’d choose to spend my time so anything that claims to make this chore less of a bore has to be worth a try. Wet and Forget Shower is different. The generous packaging has been really thoughtfully designed, enabling you to easily apply the product to the nooks and crannies of your shower, where it’s most needed. 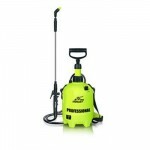 It’s quick to use, a quick spray after you shower, then leave it, the product does the work– simple – just swish the shower hose around before or during your next bath or shower – job done. No wiping, no scrubbing, no strong smell, no harsh chemicals, just a really clean shower. What’s not to like? This product is absolutely amazing! After just one application, I noticed that the doors of the shower no longer steamed up as the water ran to hot. I have a shower cabinet with a shelf where all the usual bottles of shower wash, shampoo etc. are kept, which I was always cleaning because of the build up of black mould under the bottles. This is now a thing of the past! All of the cubicle is sparkling, with all traces of mould and soap scum completely vanished from the doors, the mirror and the fiddly shower head and jets. I am fortunate to live in a soft water area and as an experiment, I sprayed the shower with Wet & Forget just once and monitored the results. Three weeks later, the shower is still completely clean. I cannot believe how good this product is. Previously, a lot of time and effort was used to achieve results nowhere near as good. It will definitely be on my shopping list! Thank you so much again. My relatives are now converted and will be buying it.